Fiskars Norden premium stainless steel cookware features a rim-to-rim multiply construction that allows the entire surface of the dish to heat evenly. The aluminum core in between outer and inner stainless steel layers guarantees homogenous heating on all hobs. The thick, 3,0mm base distributes heat efficiently. 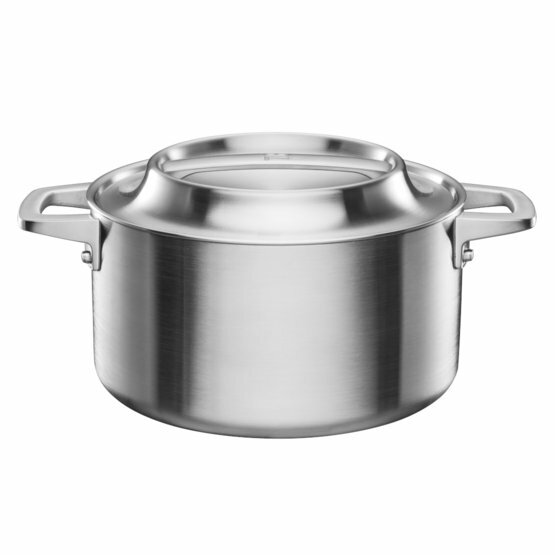 The distinctive design of the lid is inspired by the Nordic cookware traditions and is comfortable to handle. Fully ovenproof up to 240°C The Norden cookware design has been inspired by Nordic nature and traditions.